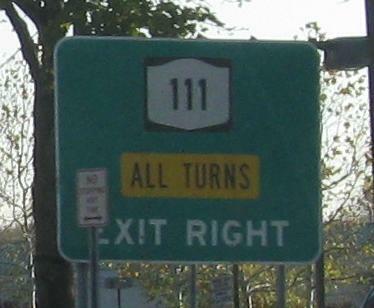 Eastbound heading away from the Northern State Parkway, where NY 347 begins while multiplexed with NY 454. It used to begin at 454 (then just CR 76) after being designated over then-CR 85 in 1966 to replace the dead extension of the Northern State. 347 was planned to continue southward to I-495, and was extended west uselessly once that plan died for continuity (i.e., follow Northern State to 347). 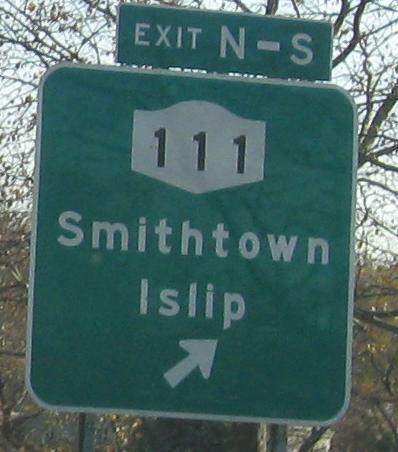 347 was upgraded to handle Northern State traffic and otherwise has nothing to do with the parkway system, but does get one signed "exit" that's really just a jughandle. I'll reserve comment on the black-background shield on the green sign for a moment, but I will call out the other ugly advance shield. 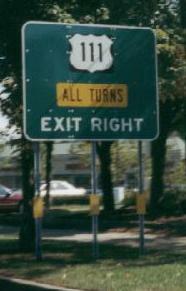 Courtesy Doug Kerr, this was once the WB sign at the same intersection. 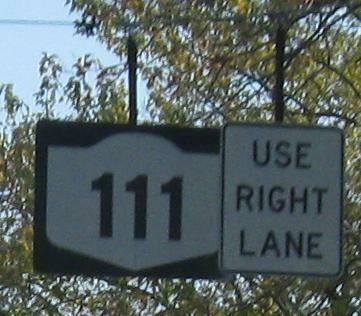 In addition to also having the black background (proving these signs were made incorrectly from the start), it refers to a long-dead route that was replaced by I-83 and US 15. 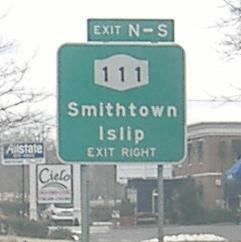 Those aren't anywhere near here, so obviously it was an error, and that's why there are NY 111 shields there now. 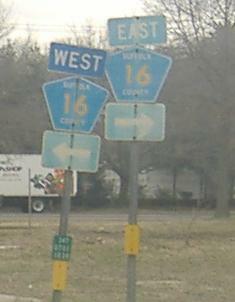 Suffolk County has used many different styles of route shields, and here (EB) takes a stab at copying Albany County.